Marketlend offers a safe, fast, and effective platform to access invoice finance at bank or better rates. 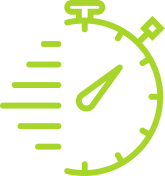 Marketlend will buy your invoices as low as 0.8% and advances up to 90% of invoices within hours. The enhanced cash position of a company can be used to employ more staff, for capital expenditure, or to take advantage of acquisition opportunities. Australian businesses are no longer viewing Invoice Finance as simply a short-term increase in cash flow option, but a strategic method to grow their business. 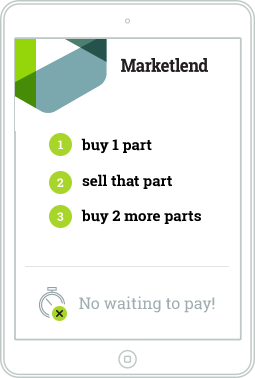 With Marketlend’s Invoice Factoring, you can fulfil your demanded output levels, stay up to date with your operating expenses, and receive any discounts from providing early payment discounts. Borrow money quicker and more effectively! 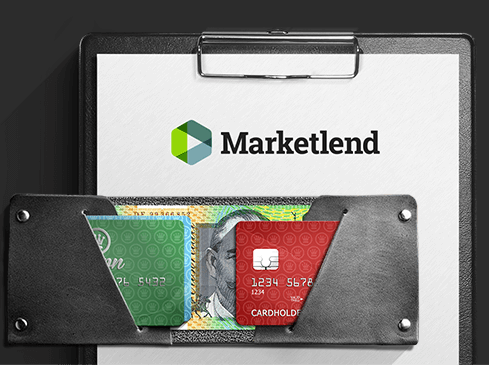 As we operate online, we at Marketlend are able to provide the peer-to-peer service more cheaply than traditional financial institutions like the big banks. This means that you can borrow money at lower interest rates, quicker and more effectively! Using Marketlend you are able to apply for Invoice Finance, which is a progressive working capital solution to quickly increase your cashflow and alleviate your financing worries. Marketlend understands that small businesses fluctuate in business activity, especially during the establishment and growth phase of their business lifecycle. With Invoice Finance, Marketlend provides flexible peer-to-peer financing solutions that doesn’t require you to commit your personal real estate assets as security, while providing you the cashflow to respond to fluctuations in your supply and demand. Additionally for the larger client, it offers an off balance sheet solution to enable you to use your capital for other purposes. But how does Invoice Finance work? When a customer purchases something from your business, you take record of their purchase using things such as an invoice, and include the purchase in their balance sheet. Businesses have their Accounts Receivables in a balance sheet as an asset. The Accounts Receivable is a legal claim for payment from the business to its customer, which can be leveraged to secure a line of credit. 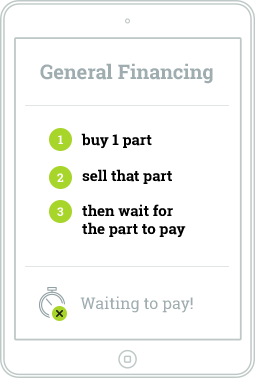 Invoice Financing is given as a credit option to profitable companies with a preexisting internal accounts team. To apply for Invoice Finance, your business submits the invoice to Marketlend. Within a guaranteed 24 hours period, Marketlend processes the ledger will remits 90% of the value of approved invoices, and will credit you the reserve of 10% when the invoice is fully paid by your customer. You do not pay any fees on the invoice proceeds, it is a monthly charge for the facility that is charged at rates from 0.8% per invoice. We review the business organisation, the quality of credit your clients have, ensure your invoices are free of Liens, your financial statements and also give you feedback on the risk profile of your debtors. What are some of the benefits of Invoice Finance? However, the credit of your customers is important during this process. Financing companies like Marketlend, are responsible lenders who go through a due diligence process. We review the business organisation, the quality of credit your clients have, ensure your invoices are free of Liens, your financial statements and also give you feedback on the risk profile of your debtors. This is all to check whether you can afford to repay the monthly payments, and whether your customers can also pay you!